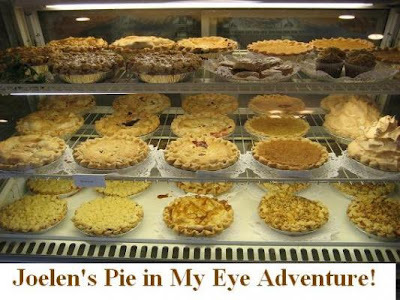 Pie in My Eye Round Up! 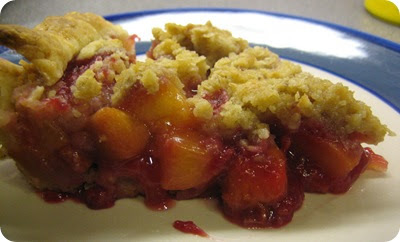 With the bounty of fresh fruits in summer, a great way to use them is to make pie! But if you're like me, you probably don't want a whole pie in your kitchen to tempt you. So my friends and I decided it to make pies anyway... only in smaller packages as hand pies. For our hand pies, we chose to fill them with fresh strawberries, blueberries and mango. Here are pictures of our event. Also check out this link for some helpful tips & hints with Pie Dough 101! Karen joins us with a special pie that's near and dear to her. Not only was it a recipe of her mom's but she made this pie for someone's birthday! Check out her blog to find out who and to get the recipe! 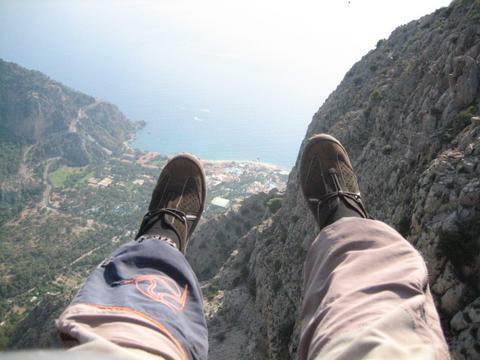 Dhanggit joins us from France and has been one of my fave blogs to read. I'm thrilled that she has joined in this blogging adventure to share with us her gorgeous entry. Even the name of her dish makes me hungry. 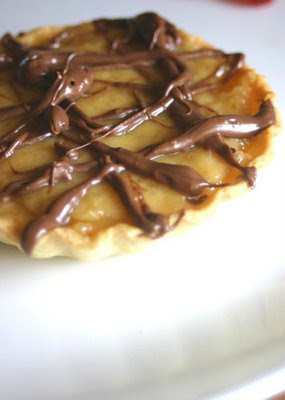 You definitely should check out her blog for the recipe and get some "Nutella theraphy"... because we all need that now and then! Amy shares with us a pie recipe she made and brought to a dinner party. She used recipes from 2 sources to create such a beautiful pie! To find out what sources she used and the recipe, check out her blog! 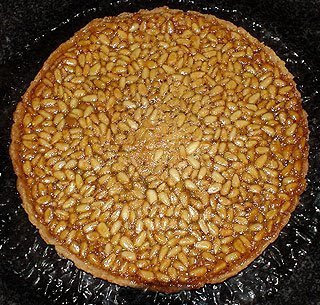 Melissa shares a pie her husband made, since she isn't a fan of pie. The pie was bursting with blueberries and I especially liked how the top of her pie was decorated. To find out how and for the recipe, check out Melissa's blog! I'm a fan of peach melbas and after checking out Pyschgrad's entry, I knew this would be an excellent recipe to try. However, someone preferred that Psychgrad not bake this pie. Check out her blog to find out who and to get the recipe! A new comer to the my blogging adventures is The Food Hunter! She shares with us her special pie challenge that combines 2 pantry staples (at least in my house) resulting in a sweet looking pie. Check out The Food Hunter's blog for the recipe! Becke has one of my favorite blogs because she often creates dishes using creative combinations and her pictures are outstanding. I'm so glad she participated in this event because her pie entry looks so delicious! Forget plain custard pies... and forget plain blackberry pies. Combine these two for a pie that's both fruity and creamy! Check out Becke's blog for the recipe! Thanks Joelen for hosting all of these wonderful events! Great job, as usual, Joelen. Check out our blog, you've been awarded! 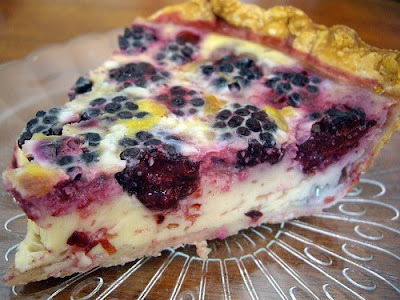 That blackberry custard pie looks so good. I really want to make that! this is a tasteful round-up!! yummy!! thanks for hosting! Yum. A mango pie sounds delicious. That Pie Crust Recipe is my favorite too. Vodka in pie crust sounds good, will try it next time I make pie which may be sooner because I'm drooling looking at all the pies specially the pine nuts and honey. Yummy!